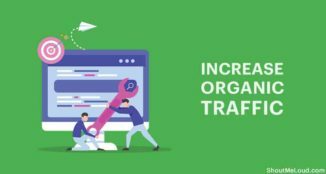 Now-a-days social media has come out as a giant when it comes to driving traffic but it’s undeniable that SEO is still the most profitable & free way to drive highly targeted traffic to our blogs & websites. After investing about four years of my immortal life online, I had many things to write about as per my experience concerning SEO, & so is this article all about it. There are many guides available here at ShoutMeLoud to bring traffic to your site through search engine, so I wanted to come up with a new term & hence I coined it as Search Engine Value. I wanted to give you a new perspective to look at Search engine which is the present & may be most vital part in future. This term came up as in my business I have learnt that being valuable is best way to excel in work & personal life. Similarly, our blog has to be the valuable resource of the content that people are searching for, in other words, we can call it search engine value that we provide through our blog on whatever topic we are writing. 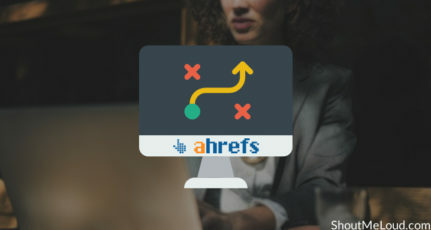 It is true that when we talk about search engines we talk of many things like keywords, meta tags, page speed, mobile friendliness, structured data, social media presence, the design of the web page, presentation, backlinks e.t.c as quite frankly we are writing both for the visitors & the search engines. Here we have to consider the search engine value that we can provide which can obviously come up if we follow some of the posts in ShoutMeLoud that can help us to achieve & also maintain a monopoly in our market or other words, search engine market. 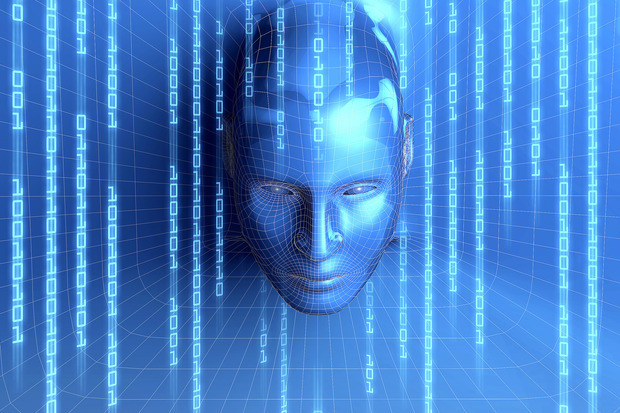 In the past, there were different aspects of ranking well in the SERPs but today the rise of artificial intelligence has made the bots very intelligent to find the most valuable content & present it to the user after being sorted out with some tests that the bots can do. Hence, we have to take care of the terms mentioned above to rank higher & if possible the highest to dominate for a longer time frame. After writing about some of the topics I have realized that every topic has its way of looking at by the user & it depends on the interaction between the user & your content to produce a result that can be fruitful to you & more importantly the user, either you have made that web page to produce a sale or provide information. For example, if I am writing about jobs the first few things that come up in my mind are basic pay or salary, working hours, job profile, e.t.c. Honestly, the perfect post doesn’t arrive in one stroke but it is edited few times either because of updates or experience that you are having with analysis of your post’s performance. Especially if you are in communication with the user so that you can certainly know the aspects that are missing in any post. This communication can be done either through email marketing or direct contact. So, being valuable will get us to a point where we can say that we are providing something of significance to anyone who is visiting our webpage. The search engine also sees this in the long run & if you are competing for difficult keywords that already have a lot of competition then this can be your boon & you can rank well for these kinds of keywords. However, there are some other keywords also that are not that competitive where Search Engine Value can straight away push you to be at the top of the search. For example, I used the brand name of my competitor by writing a review about it in my website after seeing that people were searching for its review in Google & that idea brought me traffic!! just because I came up with an idea of providing search engine value to my post & referred that traffic to my post that was competing with that brand name. 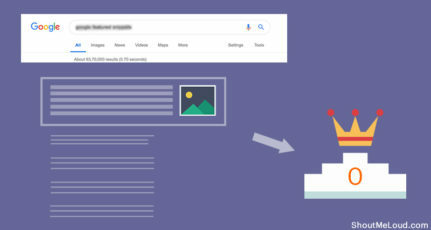 After taking a look at most of the long lasting top-ranking posts in Google, I can say that the value your article offers to end-users decide the future of the ranking of your content. Saying that, one who wants to make search engine works for their online business, should take care of technical aspect of SEO & at the same time major focus should be on the value proposition of every individual page on your site. 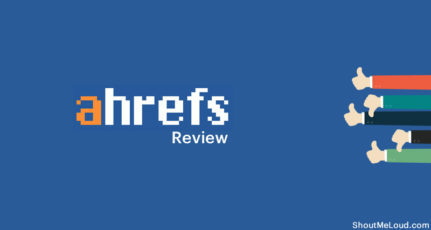 Do let me know your opinion on present & future of SEO? How a blogger should focus on SEO which would yield results for longer span? Gaurav is a lover of internet & the business model that runs it. He likes to compile & publish valuable content on the internet & manages many blogs. He owns a firm called "The Rupee Book" which provides services of web development, digital marketing & online jobs solutions. This is very valuable article to understand Search Engine Value in blog site. You explained very well with good example. Thank you so much for sharing your experience with us. This is a great post to understand SEO in Simple way. SEO is Most way to get more traffic for blog . If we have good knowledge of seo, we can achieve good traffic to search engines. You give us good information about SEO. I read shoutmeloud post daily becoz i have find new tips here alltime. Yes That’s true there is no secret behind SEO Success. 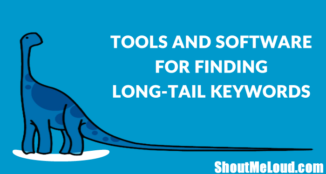 Quality content With long tail keywords can rank easily on SERP. Thanks for your valuable information about SEO, Every newbie bloggers should read this Article. Thanks again and Keep sharing. The search engine value is the new term which I have heard in my blogging career since an year. And its weight is very well defined with the addition of Quality Content + Back Links + many other terms like social media presence, keyword research is a new perspective. Very useful for bloggers who are completely relying on any one of them instead of equal portion of all of them like me who focused on Quality content for a lot of time & on the link building etc. which didn’t give exposure to my content though it was of high Quality. Gaurav, What you have said is right, We have to write for Readers and not for Google Bots, Consistency also matters when it comes to Ranking in the search engine. I had seen a lot of blogs who write in Layman language and rank high in the search engine because they write for readers. Google is the key for online success and if you give value to your reader by serving them valuable. latest information. what they looking for? I think it’s more than enough to rank in Google. Backlink will help only to list, but for high conversion we have to write valuable content. Extactly same you had explain with your deep analysis report and vary expressive ways. Thank Harsh to create this platform. I am always studding with SEO, as its very important with my job. Because always the search terms changed by the main search engine Google. I read this article and I found its valuable too. Thanks. I appreciate your thought about SEO. What your post reveals me that , as a webmaster we should always write the content for the end users instead of trying to manipulate search engine by some dark methods. I think white hat seo is nothing but making good unique content & promoting it by reaching out in a similar way as you would do in any practical business. Well Gaurav, I was going through your post, Well written. I’ve been trying to get involved in SEO activities and what I have learnt so far is that after on page SEO we only can do promotion as part of off page SEO in context of White Hat. If we talk about directory submissions, Comments, Guest posts just to increase links, all these I cannot consider as white hat because these are created by you only. These links are not natural which are coming due top worth of your article. Today or tomorrow google is going to track these kind of links also and we may get some new kind of penalty. When it comes to SEO and coming to top ranking then leaving exceptional cases, I’ve seen that this thing comes with time. There is nothing instant traffic driving factors which will remain steady over the time. You ranking, authority all will come with respect of time and content, Both are playing important role here. So I want to increase my ranking for longer and steady way then I would do on page SEO and promotion. Rest I’ll put on wait with time. What do you think. Will that strategy work? Do you think I should consider few other things in addition to what I said as part of “White Hat”. 1) Keywords research done in a smart way, by which you know what to target. 2) Content that has the value for your readers & that can be shared. 3) Promoting yourself more through guest posts & comments, that will promote your domain & also increase its authority.This can even bring you links.Honestly, I believe domain authority is the only authority one should look out for. Conclusively, as you said “ranking, authority all will come with respect of time and content” is the best description one can have for search engine authority. We should always write content for visitors not for search engines.. As the time has changed a lot, now it is always demanding the quality over quantity by search engines.. So thanks for sharing such information.